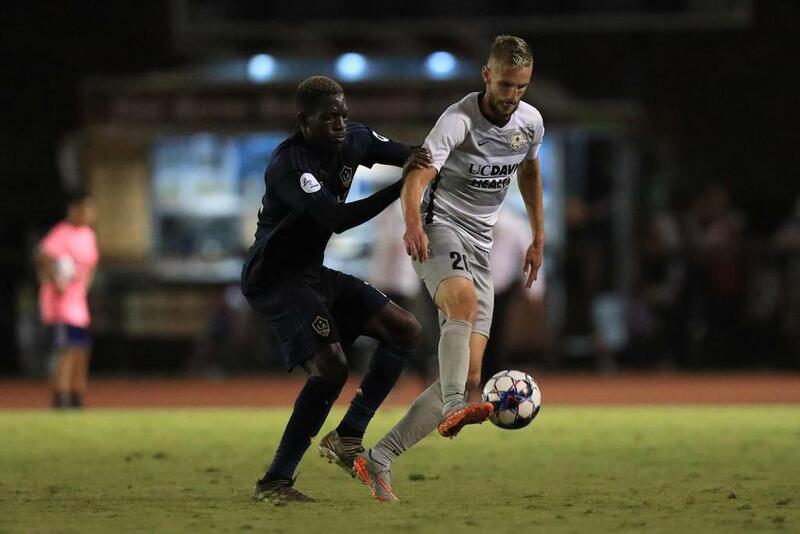 CARSON, Calif. (October 6, 2018) — Sacramento Republic FC rode a first-half brace from Keven Aleman to defeat LA Galaxy II on the road on Wednesday night and secure home-field advantage in the 2018 USL Playoffs. The visitors opened the score less than a quarter-hour into the match after capitalizing on a bad defensive clearance from Los Dos. Galaxy II keeper Eric Lopez’s clearance fell to Jure Matjasic who split the home defense with a low, diagonal ball to Aleman on the right wing. The Canadian international charged the box, cut to his preferred left foot to lose his mark and fired past Lopez to put Republic FC ahead. The two combined again to double Sacramento’s lead in the 21st minute. Matjasic found Aleman open on the wing and the Costa Rican midfielder offloaded his defender once again before chipping a shot past Lopez at the near post. 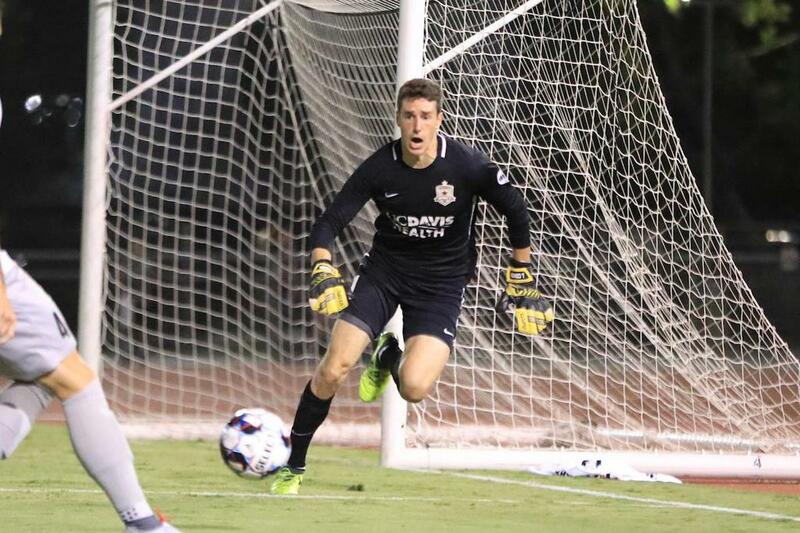 LA pulled one back just three minutes later after Republic FC’s defense was unable to deal with a cross in the box. Nate Shultz lofted the ball back in to Frank Lopez who headed home at the back post. 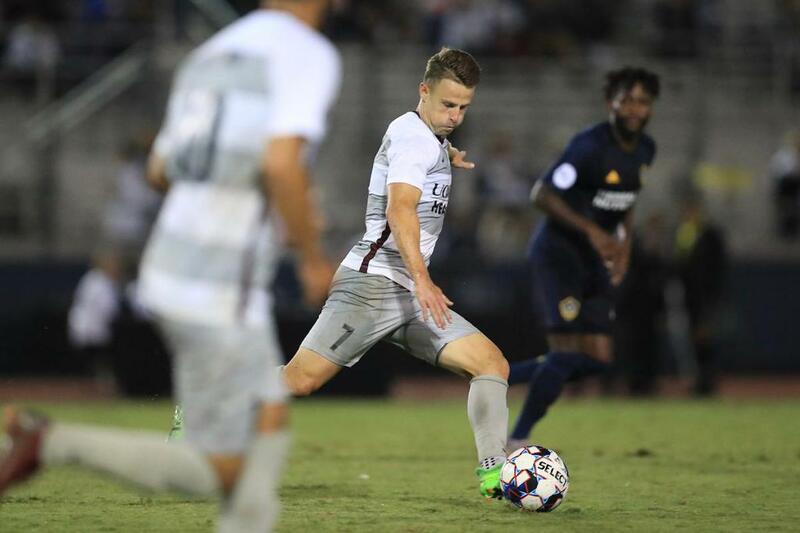 Republic FC could have extended their lead in the 68th minute after Matjasic was brought down in the box, but Jeremy Hall’s penalty kick was well-saved by Lopez. 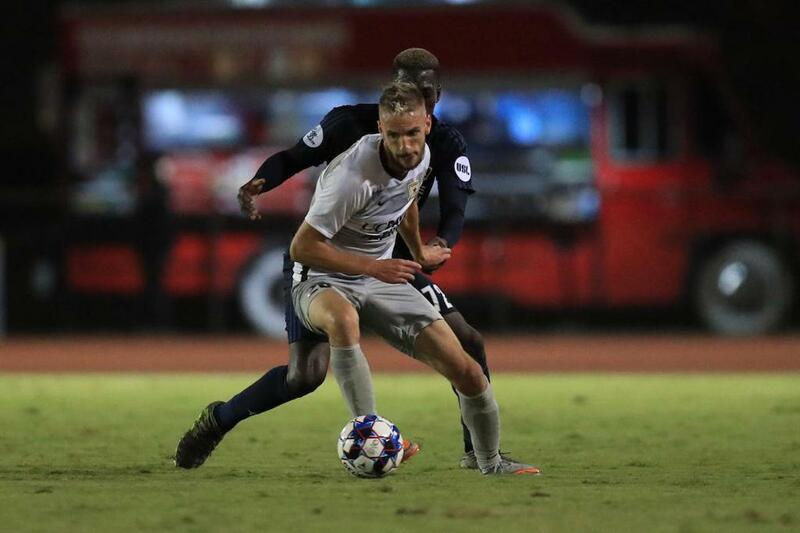 Sacramento made matters more complicated when Cole Seiler was sent off after receiving his second yellow card of the night with just over a quarter-hour to play. 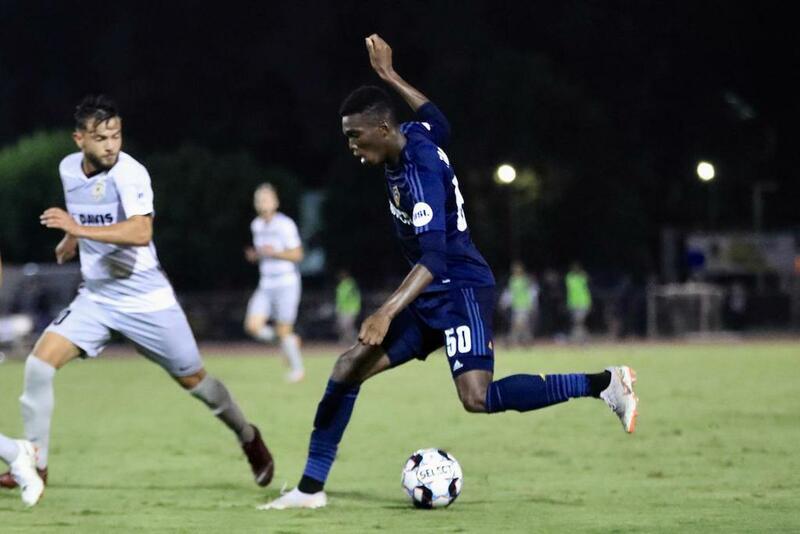 Los Dos were unable to capitalize on their man advantage, however, and Republic FC returned home with all three points. The win moved Republic FC to 62 points in the Western Conference, which guarantees the club a top-four finish and a home playoffs berth. The Indomitable Club will conclude the regular season at home on Saturday, October 13, against Las Vegas Lights FC. 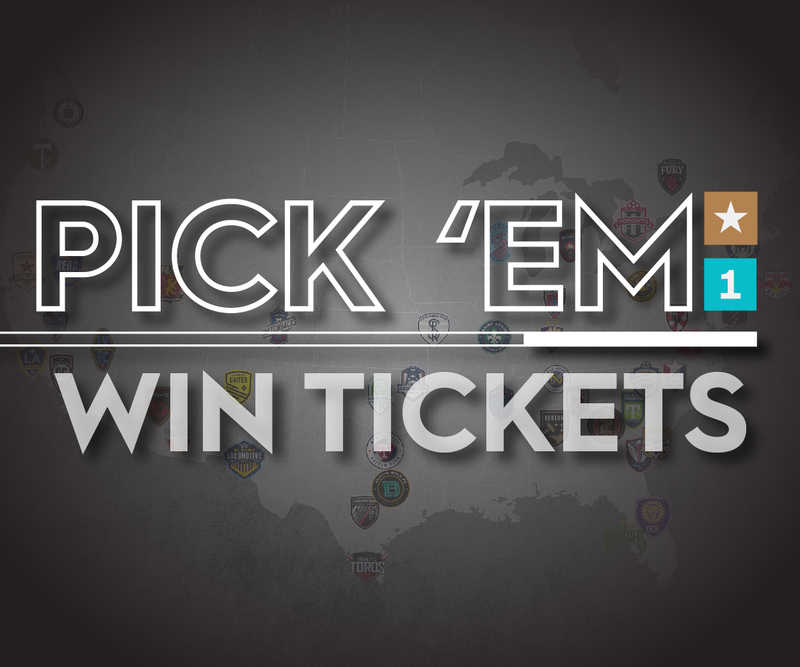 Playoffs tickets will go on sale to general public on October 9th at 10 a.m. on Ticketmaster.com. Scoring Summary: SAC – Keven Alemán (Jure Matjasic) 13, Keven Alemán (Jure Matjasic) 21. LA – Frank Lopez (Nate Shultz) 24. Misconduct Summary: SAC – Josh Turnley (caution) 51, Cole Seiler (caution) 62, Cole Seiler (caution + ejection) 74. LA – Adrian Vera (caution) 45+1, Frank Lopez (caution) 71. 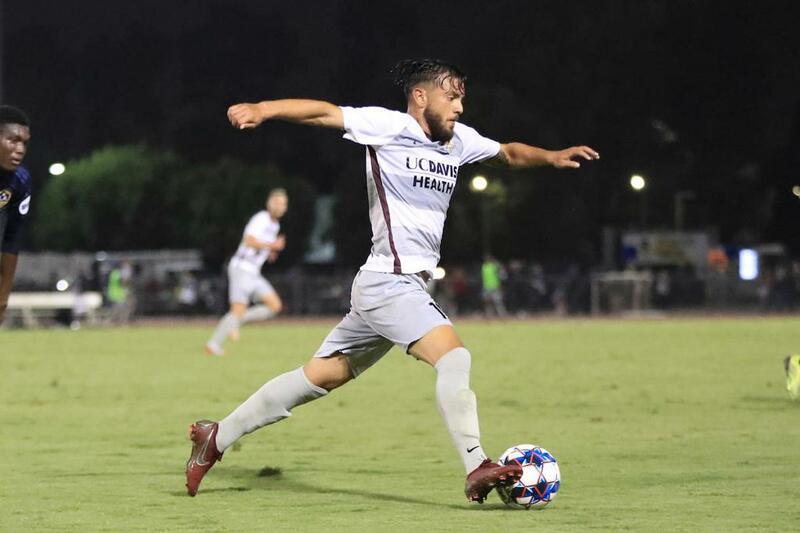 Sacramento Republic FC: Josh Cohen, Mitchell Taintor (Villyan Bijev 51), Shannon Gomez, Josh Turnley (Elliott Hord 74), Emrah Klimenta, Keven Alemán, Cole Seiler, Jure Matjasic (Wilson Kneeshaw 90+1), Jeremy Hall, Hayden Partain, Jeremy Hall, Cameron Iwasa. Subs Not Used: Rafael Diaz, Luis Espino, Christian Eissele, Carlos Rodriguez. Stats: Shots: 12, Shots on Goal: 6 , Saves: 4, Fouls: 11, Corner Kicks: 4, Offsides: 4. LA Galaxy II: Eric Lopez, Jean Engola, Andre Zanga (Julian Araujo 77), Hugo Arellano, Geoffrey Acheampong (Justin Dhillon 70), Didie Traore, Emmanuel Appiah, Adrian Vera, Nate Shultz, Ethan Zubak, Frank Lopez. Subs Not Used: Carlos Zuniga, Justin Fiddes, Jonathan Hernandez. Stats: Shots: 14, Shots on Goal: 5, Saves: 4, Fouls: 15, Corner Kicks: 5, Offsides: 1.